Trumpf plans to introduce new machines for 3D printing metal parts. Photo: Trumpf. 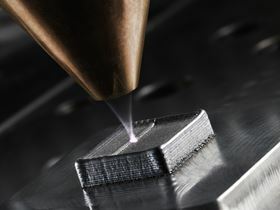 Laser specialist Trumpf plans to introduce new machines for 3D printing of metal parts. To achieve this, the company has recently established a new division at its headquarters in Ditzingen, Germany, and has devoted more attention to new systems. This story is reprinted from material from Trumpf, with editorial changes made by Materials Today. The views expressed in this article do not necessarily represent those of Elsevier.